If It's Too Loud...: Mekons - "Lawrence of California"
Mekons are one of the more interesting bands I need to fully explore. Depending on who you ask and what period of their forty year career you're talking about, they can be described as punk, post punk, cowpunk, alternative, and even folk. Their latest single, "Lawrence of California," can be called all of that. It's a romping, rollicking song that just plows ahead. It never quite breaks out into the all out fracas it threatens to, but that's perfectly fine. It's probably too country to be punk and too punk to be country, existing in its very own world. I don't think I could even call this outlaw country, which is the category this kind of music gets shuffled into. It just has too many noisy and strange elements. Instead, it's just the Mekons. You can watch the video for "Lawrence of California" below. 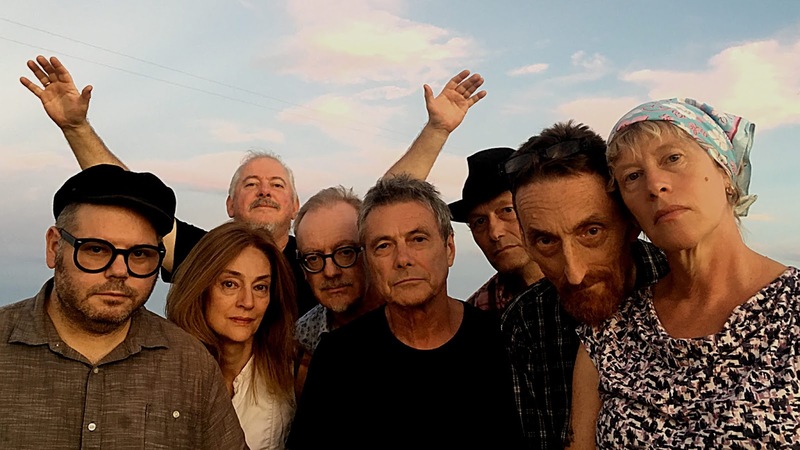 Deserted, the new album from Mekons, will be out March 29 on Bloodshot Records. You can pre-order the album here. For more on Mekons, check out their Facebook. Current tour dates are below the video, and include an interesting Green River Festival sized hole in July, so we can hope and dream.